I wish they had an online website so that all products would be easily accessible! 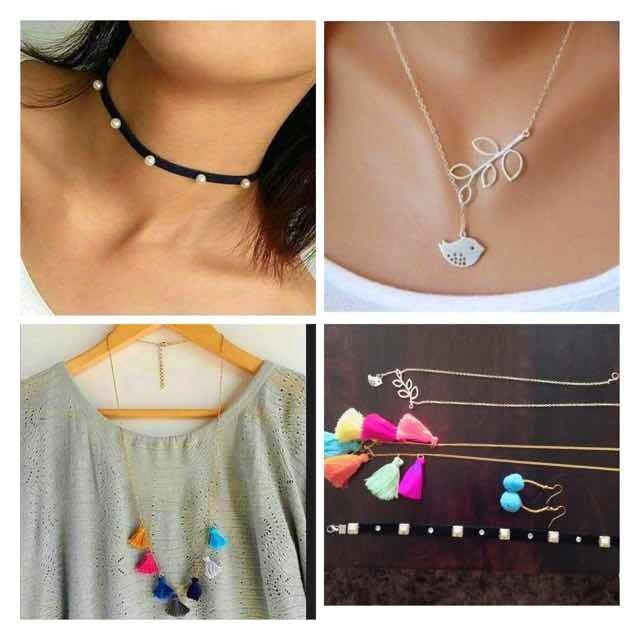 This Coimbatore-based online store has an awesome collection for handmade accessories whether it is chokers, neck pieces, bracelets or danglers. They're all sold at a very reasonable price, starting at INR 60. You can DM on their Facebook page, or WhatsApp them to place an order. You can customise your order as well! The chunky accessories from this page go well with all the latest trends. I am in love with their choker collection! It's best to message them on Instagram on Whatsapp, and you'll get a pretty quick reply. The courier charges are very minimal. Their delivery has always been on time.